You may be surprised to learn that invasive species rank second only to habitat destruction when it comes to the biggest threats to biodiversity. In the United States alone, there are an estimated 1,000 invasive species. 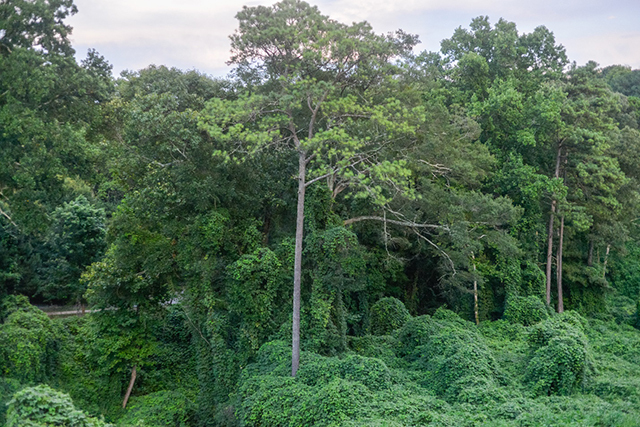 Some of these species, such as kudzu (pictured below), were brought in the U.S. deliberately, while other species, like the zebra mussel, arrived by accident. Regardless of how they arrive, invasive species can do a lot of ecological and economic damage. The overall economic cost of invasive species in the U.S. is estimated to be around US$ 120 billion per year. Coming attractions: In next week’s post, we’ll turn our attention to the biodiversity threats of pollution and climate change. In the meantime, don’t forget to make plans to attend the October 22, 2018 Half-Earth Day event in New York City – it’s going to be a great event! To learn more about Half-Earth Day, visit http://www.half-earthproject.org/half-earth-day.